Graduated from Elizabeth Grady in 2009 for massage therapy. 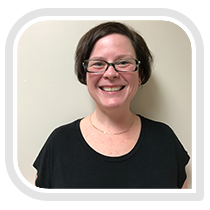 Julie enjoys offering treatment options based on each individual need and customizing each experience. Modalities include Swedish, deep tissue, pre-natal (after first trimester) and hot stone massages.